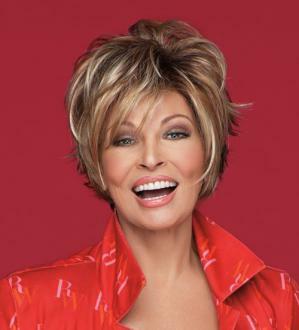 Salon Cool by Raquel Welch - A full top, layered chin-length sides, textured back and neck hugging extended nape give a fashion feel to the traditional basic cut. This style is being discontinued and colors will be limited. Sheer Indulgence™ - quite simply the finest wigs in the world. Each piece features hand-knotted monofilament design, seamless details, and exquisite craftsmanship. So you can expect incredible color, quality, texture, and flexibility. The look is sheer luxe.